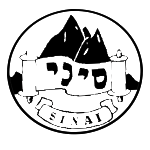 At Sinai we take pride in our commitment to learning as we believe that it is vital to the growth and development of any Jewish organisation. We produce so many great resources throughout the year that we wanted to share it all with the rest of our community. Check back soon for updated resources, shiurim and divrei torah.